Designed for: Not-so-fat Fat Bikes Lighten up that fat bike with the MRP Fat Fork. 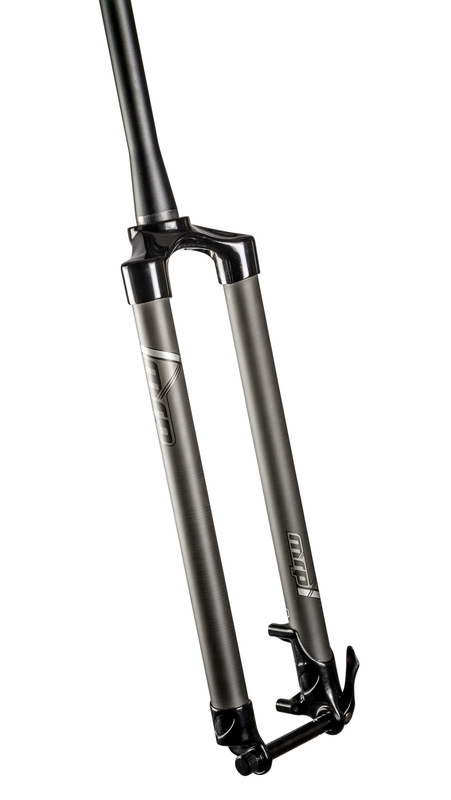 Choose from 34mm carbon or alloy legs and two axle-to-crown lengths. We utilize the 135mm wide front disc spacing standard, but an adapter is available separately allowing you to use 135mm rear disc hubs. Alloy crown, steerer and dropouts. 34mm carbon or alloy legs.